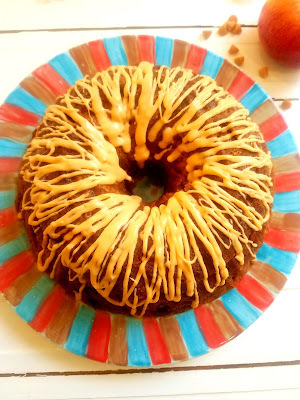 A great Bundt Cake is a classic dessert for a reason! 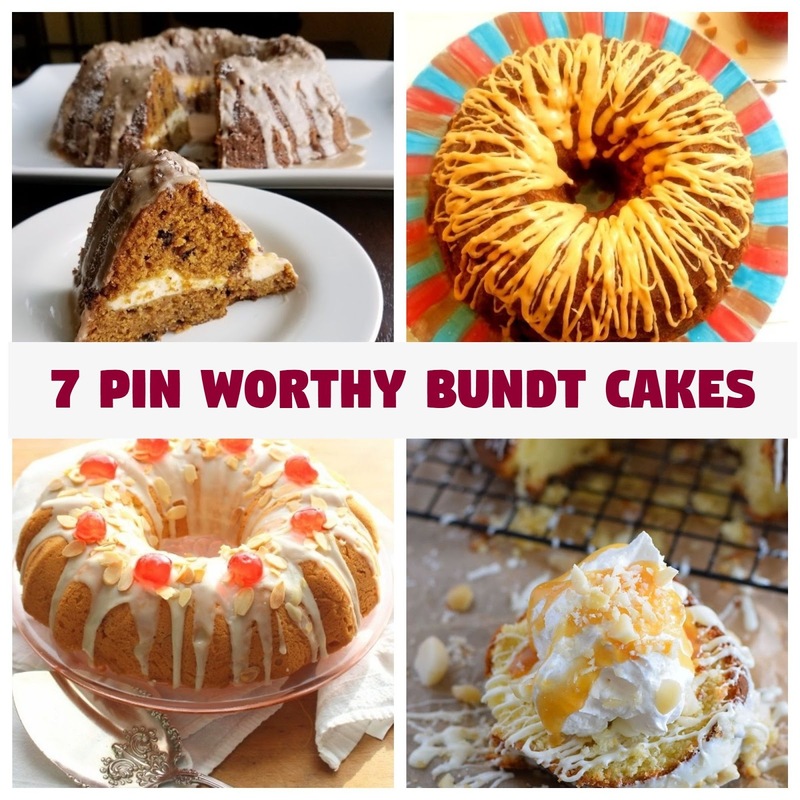 Today, November 15th is National Bundt Cake Day, so to celebrate we are bringing you a round up of some of the best bundts around! These are moist, flavorful and decadent! Great to serve at a party, take to a potluck or deliver to a sick friend or gift for the holidays! Come on and browse through these great Bundt Cakes and see which ones tickle your fancy! Butterscotch Apple Harvest Cake is my own recipe. It's full of autumn flavors but is great year round! Butterscotch, apple, and warm fall spices, perfect to bring to a work breakfast or as a dessert! It's simply scrumptious! 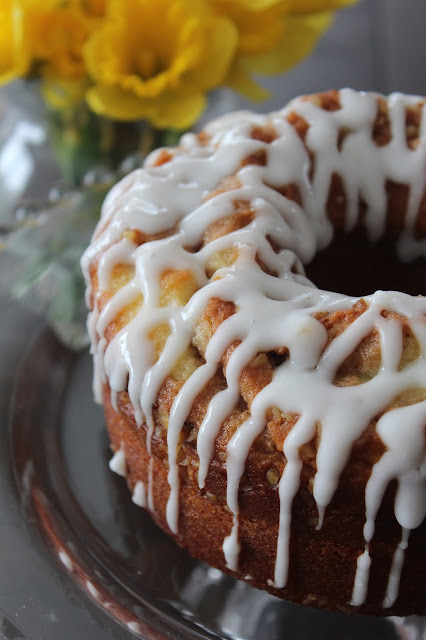 Cherry Bundt Cake by Palatable Pastime is stunning. It has a wonderful Cherry Filled Center that is a delightful surprise for your guests as you cut into it, that will not disappoint! Perfect for the holidays! Sock it To Me Pound Cake by Living On Cloud Nine is just like my Honey Bun Cake! Addicting! Do NOT Underestimate this little gem! If I could recommend starting with one cake to make and take to a breakfast or to gift or give to a sick friend.. this one would be the one I would do. One slice and you'll find yourself going back for more slivers and more slivers of cake! I think the description and the picture explains it all. A decadent dessert that just looks and I'm sure tastes special! 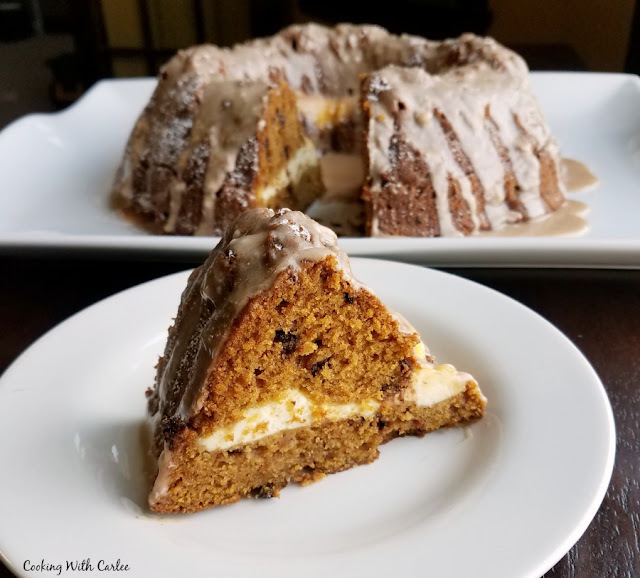 Cheese Cake Stuffed Pumpkin Bundt Cake by Cooking with Carlee. I don't know which part I love the most, the pumpkin cake part, or the cheese cake stuffing part! This just makes my heart happy! I'd like it to make my belly happy! 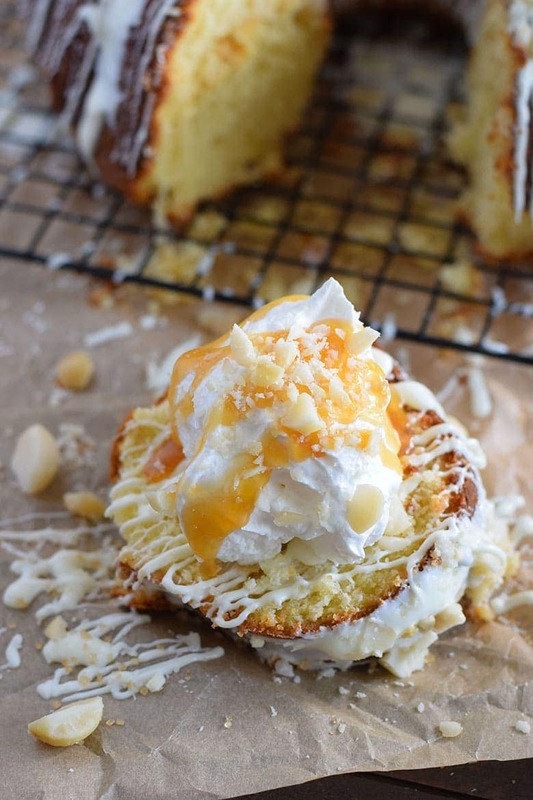 this sweet cornbread has a delectable Honey-Butter drizzle all over the top! This is a must make and take to any putluck for the bread table! What a way to serve cornbread!